Are you ready for the third installment of Transportation Trivia Night? Have you measured the miles of sidewalks, bike lanes, and streetcar tracks in the Portland Metro area? I hope you included some international and pop culture research as well. 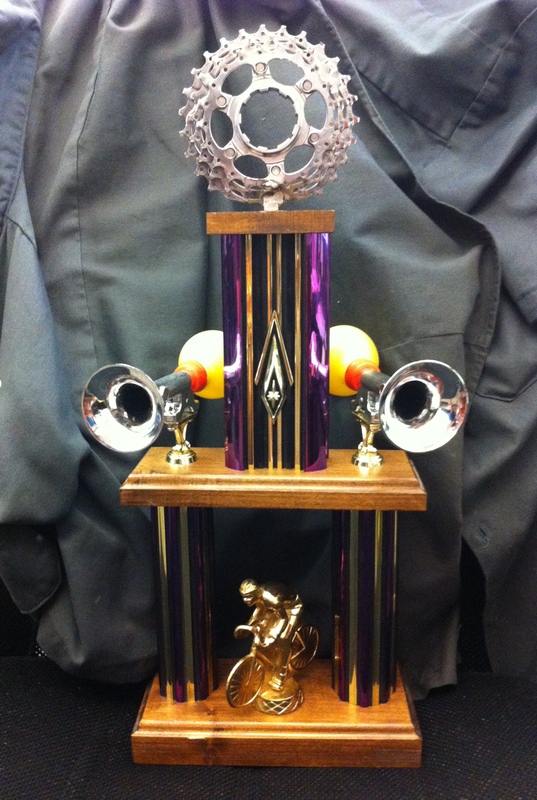 This time we have a few extra incentives…incentives like a TROPHY for the winner of it all. That’s right, a Transportation Trivia Night Champion’s trophy. If your team is lucky enough to be named the champions – your entry fee will be covered at the next event for the chance to win it all again. And, of course, there will be prizes. The winners of each round will receive gift cards from some of the best restaurants and shops on Alberta St. – including Barista, Halo Thai, Radio Room, Bollywood Theater and more. The team with the best name will receive a gift bag from Bikeasaurus and each player will receive a pint of Alberta St. Pale Ale from Mash Tun Brewpub for playing. We even have an awesome Nike Fuel Band as a door prize. I can’t think of a better way to spend a Wednesday evening. 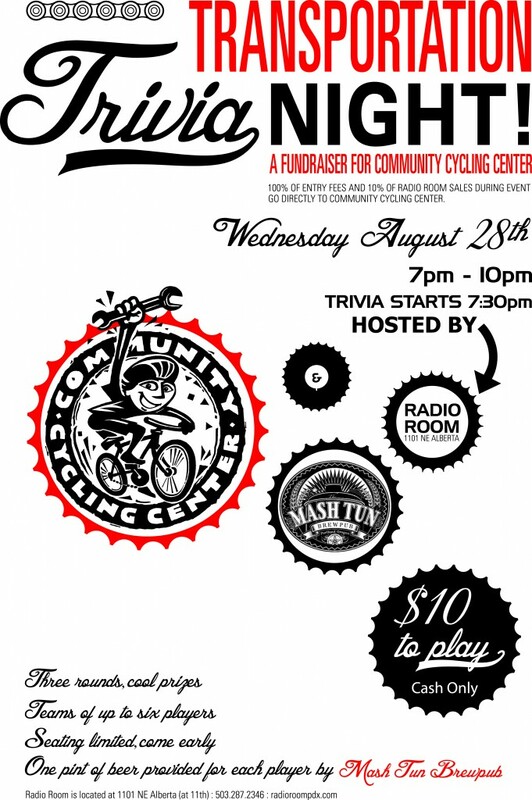 In addition, local engineering firm Kittelson & Associates is sponsoring the event and the Radio Room is donating 10% of the proceeds to the Community Cycling Center, in addition to 100% of the entry fees. The support and involvement of the local community is truly what makes this event such a success. So, mark your calendars, start studying, and find the smartest teammates to help you win all the glory that comes with being a champion at Trivia Night. When: Wednesday, August 28th, 7pm-10pm. Trivia starts at 7:30pm.